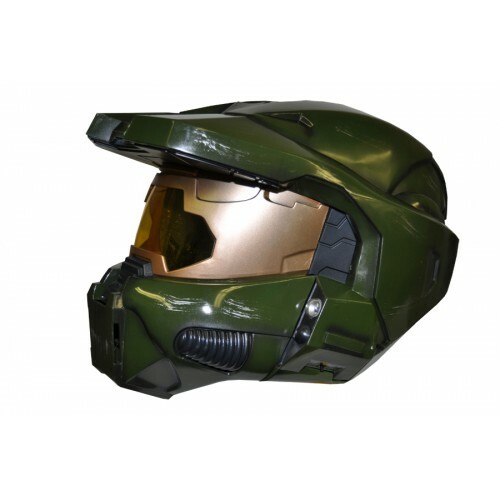 Halo 3 helmet - adult. Super deluxe Halo 3, Spartan 1-17 Mask. Full over the head mask. Has real lights on each side of mask. Takes 4 AAA batteries (included).